This is one of the classic pasta shapes, only it’s organic, has ridges and are smaller. 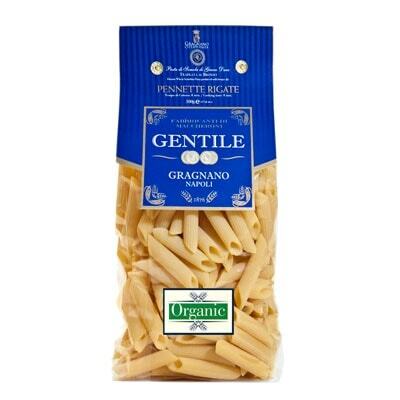 Comes in a blue pack, this Pennette Rigate Small Penne is from Gentile. You can serve this pretty pasta with all kinds of yummy sauces, or turn them into scrumptious pasta salads. Whichever you prefer, you will be sure to get one tasty and filling meal. This pasta is a creation of Gentile, which has its factory in the Campania region. It is 100% organic and is a bit smaller than regular penne pasta. Nevertheless, they are as delicious, if not more so, as regular penne. Try them out now and find out how yummy they can be!